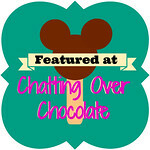 Chatting Over Chocolate: Pinterest Pizza Party! 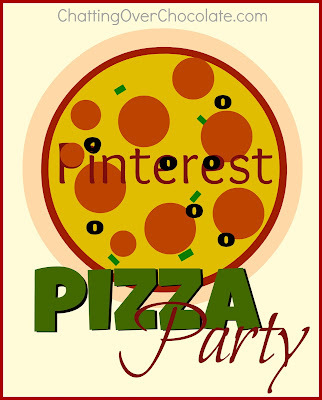 Welcome to my Pinterest Pizza Party! Grab a slice pin or two! There's plenty of pizza pie ...and pizza pasta, cupcakes, bread, & pretzels! Which would you reach for first? Good thing I had pizza last night, or this post would be driving me crazy! Oh my! Each one is yummier than the previous! My mouth is watering and my stomach growling. I started to pin each one, then just decided to bookmark this page and place the bookmark on my toolbar... LOL! thanks for the feature!! those pizza rolls continue to be a HUGE favorite in our house and show up in our dinner rotation all the time! Well great now I want pizza! Hahaha Great pizza pins! I guess I'm having pizza for lunch! Thanks... =) Great idea... I think I shall do a food theme sometime! Pizza is my favorite food!! Love all the ideas and had fun pinning them!! Thanks for including my Pull Apart Pizza in the lineup! Ohhh yum. You are NOT helping me overcome my craving! ;) Thanks for sharing Brenda! yuuuummmmy! Makes me hungry. Great picks. I am now considering ordering pizza after reading this!! YUMMY girlie, I've made a few of these are always big hits with the boys!